I Confess That I Am Judgmental! The Enchanting Legends of Shiloh Mansion:The Big Catch! In many local churches it is often said the church is a hospital. A place for the sick. Does that mean no one ever gets well ? A hospital has its place in society, and has become a modern-day necessity. Hospitals are in business to make money by treating the body, but not the soul. 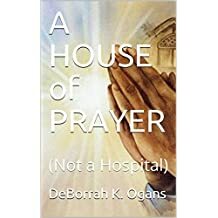 Get a copy of my new kindle book “A House of Prayer: (Not a Hospital) starting at $ .99, July 1-8, 2017. In this 21st century it is believed by many that the Church is a hospital. It is often said that it is a place for the sick. Does this mean that no one ever gets well? The Lord did not come to build hospitals. He came to restore us back to the Father and for us to have an abundant life in every way. The House of the Lord is a House of Prayer. What is your place of worship? Is it a place of worship or a place of hospitality? What is its main objective? Is it a social place where many simply seek to find refuge with those they have much in common? Is it a place where you can come to take part in the activities and have a good time? A place to simply feel comfortable and accepted? A place where you can feel good, but not necessarily become transformed by the renewing of your mind by the Word of God! THINK and ponder for a moment. Is your place of worship simply a hospital for sinners or a museum for saints? Is it here you can simply remain sick sinners for a lifetime? The next time you are in an actual hospital look around and see all the hurting people. Take notice and see how crowded it is in the emergency room. How long the lines are, waiting for prescriptions to be filled. How long do you have to wait. Notice the many specialists, doctors, nurses and technicians scurrying about. Yes, it is serious business, how sad so many are ailing. They are all there for a multiplicity of reasons. All things considered, is this really how you think “A House of Prayer” should really be? Kindle Countdown – I Confess That I Am Judgmental! Time is of the essence for much of our world is out of control. We should seek to learn how to better judge with righteous judgment for the benefit of all concerned. When you call me judgmental are you not being judgmental? After all, you have also just judged me as being judgmental. WOW! Think and ponder upon this for a moment. Just perhaps we can balance things out by first examining our own motives before we reach a conclusion. Self-examination is an ongoing part of spiritual growth. It is our attitudes that often need adjusting. Keeping in mind to judge means to analyze or evaluate as well as condemn or avenge. However, whenever we do judge one another it should not be done in a retributive manner but done constructively. This e-book will enable you to broaden your perspective on the subject of judging. “Unless I go away, the COUNSELOR, will not come to you; but if I go, I will send HIM to you. When HE comes HE will convict the world of guilt in regard to SIN & RIGHTEOUSNESS and JUDGMENT, in regards to SIN men do not BELIEVE in ME; in regards to RIGHTEOUSNESS, because I AM going to the FATHER where you can see ME no longer; and in regards to judgment because the prince of this world now stands condemned. All around and throughout this world our Lord has created there is much Spiritual Warfare about us. Because of Jesus Christ death upon the cross we have been given the opportunity to have Eternal life. It is upon the cross Jesus Christ overcame the forces of darkness and redeemed us from the penalty of sin of the original sin that entered the world via Adam & Eve. No one else was able to do this! We who believe can now look forward to one day living with God in Heaven forever after we have completed the course of life or once Jesus Christ returns for those of us who remain before the RAPTURE! This is only possible once we truly accept Jesus Christ into our hearts as our personal Savior & Lord. Praise God! Spend time with the Lord each day and allow Him to write His Laws upon Your heart. He will refresh and strengthen your body and soul and give You a sound mind. Readily repent of any sin. Daily seek Him above everything and everyone! The Holy Spirit His Comforter is a precious Gift from God to lead us to all Truth! To help us navigate through the Spiritual Warfare that has been designed to entrap us and pull us away from God’s purpose & plan for our lives. It is important that we learn to become better focused, stay connected to the Lord and “pray without ceasing” throughout our day! All the honor and glory belongs to the Lord! Everyday we should Praise, Thank and Bless His Holy Name! If you ever want a powerful defense for the Christian Faith Jude is an excellent book to refer to. Defending the Faith is not something new. Jude teaches the importance of not compromising the Word of God! The Word of God is priceless! You cannot manipulate God nor His Word no matter who you are! There are a lot of worldly influences that from the very beginning have tried to twist the Bible and its teachings! Many have been deceived, this is still the case today! Many worldly ways, concepts and methods have been embraced and embedded into the organized church system that are not of God. This is why it is important to know God and know His Word; of Him you can be certain and sure!!! Jude tells us to “Contend for the Faith!” What does this mean? Contend means to strive against difficulties, to be persistent and assert yourself. Faith means believe without seeing. “FAITH is being sure of what we hope for and certain of what we do not see. This is what the ancients were commended for. By Faith we understand that the universe was formed at GOD’S command so that what is seen was not made out of what was visible…” Hebrews 11 The Bible gives us the real facts! It is was not misconstrued circumstantial evidence. Many today attempt to use the Word to control others, justify their behavior and lifestyles but are really only promoting sin! God is powerful as a matter of fact He is OMNIPOTENT meaning He is ALL POWER! He is SUPERIOR and SUPREME! Think about it with all the millions of organized church assemblies opened in the name of God, what is going on in this world should not be! It certainly is not because of GOD! It is because there are so many wolves in sheep clothing. “They are godless men who change the grace of God into a license for immorality and deny Jesus Christ our only Sovereign and Lord” Saints are supposed to be believers! Not followers of the world. But, followers of Jesus Christ! We must TRUST GOD! When you know that there is a lot of false teaching going on what do you do? When you know that you have helped those that no one else would help, and they turn on you, what do you do? When you know that you have been mistreated and maligned and falsely accused what do you do? Do not have a pity party! PRAISE GOD!!! Know that you are in good company because this is what happened to Jesus! When you know that manipulation and deception is present you still must remain faithful to God and His Word! Don’t let anyone pull you so low that you hate them… Don’t settle or compromise your godly principles to get access or support by the majority… Christianity is really not a popularity contest or a social club. Yes we are supposed to fellowship and Worship & Praise God! But don’t get caught up in the gossip… Anything you say about someone when they are not present you should be willing to say to their face. Everyone will have to answer to the Lord at some point! So get right with GOD! God knows what you have or have not done. Don’t become bitter! Become BETTER! Guard your heart! God is more powerful than what any man or woman can EVER do to you! You must draw closer to God and TRUST HIM! Seek Him above all else! God will give you a strong sound mind! He CAN KEEP you from falling! “Do not be conformed to this world. But TRANSFORMED by the renewing of your mind!” Your true security and significance can only be found in the LORD! “If GOD is for us who can be against us!” THANK YOU LORD! & PRAISE GOD! One must only watch the news, read the newspaper or search online to see that time is near! “Anything goes!” There was not only been an Economic Recession but a “SPIRITUAL RECESSION” as well! Just look around and see the extremity of things that are happening in and about the world… Many of our congregations are also allowing carnal worldly teachings. Bible study on many occasions has turned into group think and mind conditioning sessions to tell people who they should or should not associate with… This is a cultist mentality. No wonder there is so much havoc within the homes, schools, work places, entertainment events and communities. Ministry goes beyond the walls! Please do not just go to Church! Be the CHURCH! I always say; “Character is who you are when no one but GOD is watching!” We must not just read and talk about the Word. We must actually apply it within our daily lives. “Do not walk in the counsel of ungodly people…” Psalm 1 It is important to know that the LORD is with you wherever you go and one must constantly seek the direction of HIS HOLY SPIRIT! Healing & deliverance is truly possible! Quite often respect for God and His Word are all too often are laid aside; carnality takes the forefront because somebody says; “I’m human” The time of increased Apostasy is definitely here! Meaning the abandoning of Faith! “Without Faith it is impossible to please God!” We must encourage believers as well as non believers to get to know the LORD in an intimate up close and personal way. LORD HELP US! Always pray sincerely! God knows your thoughts, motives, desires and intentions. He even knows why and what you are praying for before you make your request known! God’s omniscience is often overlooked. Omniscience means God has universal awareness, understanding and insight. There is nothing that is said, thought about or done, anywhere or any place that He is not aware of. Omnipotent means God virtually has infinite unlimited authority or influence. He in fact is the Ultimate Power above Him is no other! Omnipresence is another attribute that solely belongs to God. God is everywhere at all times. How do I access the Father? By humbling ourselves in earnest genuine prayer. Remember; He is amazingly everywhere we all are all around the world; 24/7. WOW! Christ Jesus is the door to Heaven. Jesus is the way to the Father! It is through prayer we communicate with Him. Once you truly commit your life to Christ Jesus you are adopted into the family of God. His Holy Spirit; the Comforter comes and abides within us. He is the one and only Almighty Sovereign God! Miraculously we know by Faith that the Father, Son and Holy Spirit are One and the same! Did you know that prayer is the key to your relationship with the Lord? Prayer is simply communication with God. Prayer is a supplication or expression that should be expressed earnestly and sincerely. Prayer is often sometimes inaudible. God tells us in His Word that we should “pray without ceasing.” Prayer in this circumstance is essentially a state of mind. God even tells us to go into your closet and close the door and pray to your Father who is unseen. “Then your Father who sees what is done in secret will reward you.” He can open doors no man can close. Truly GOD is always GOOD! Prayer time with God will give you a healthy and clear conscience. Prayer is not always asking God for something. We should readily thank God regularly and consistently for all He has done when we pray. “It is in HIM we move and live and have our being!? God is truly worthy of our thanks and praise! If you are a child of GOD you should relish your personal prayer time with your Father. God is aware of what we need as well as what we do not need. Having and ongoing growing intimately relationship must be a top priority! This is why it is so important that we are honest and sincere when we call upon His name. Remember prayer is not always asking God for something! It is not something we just do in the presence of others to get their attention. But when others are in attendance you should include them in prayer. Prayer is not just mere words we utter repetitively. Prayer is not a time to just let those who are present know how you feel. The effectiveness is not determined by the cadence, tone or volume of your voice. It is not just a time to just emotionally charge others. It really is the content and posture of your heart that concerns God. To humbly and sincerely usher oneself into the presence of the Lord one must relinquish self. Any unconfessed sin hinders your prayer encounter. With God you must be real! When you truly enter into the presence of the Lord it can change the unchangeable. Prayer can heal a broken heart, mind, body, soul, life, home or relationship. The things that are impossible with man are absolutely possible with God! This way He gets all the credit. “Oh give thanks unto the Lord for He is GOOD and His mercy endureth forever!” It is important when we pray, that we pray, God’s will be done in our lives. We must yield to His Will and His Way! The prophet Jeremiah kept in constant prayer with the Lord. Jeremiah was called to remind Israel of the consequences of disobedience. Jeremiah fervently reminded them of their immoral behavior. The religious establishment plotted to silence Jeremiah. Jeremiah was discouraged and in much despair. So much so, to the point he began to wonder why he was not allowed to just die in his mother’s womb. In his despair Jeremiah cries out to the Lord. He tries to keep quiet since he is constantly mocked for proclaiming God’s Truth. The Word of the Lord is so vehement in his soul that he can not contain it. This is when he says “His Word is in my heart like fire. A fire shut up in my bones.” Jeremiah knew that they were waiting for him to slip. Jeremiah was maturing as a prophet. He knew that the Lord wanted him to continue. He even went so far to tell them if they put him to death that his innocent blood would be on their hands. We can be encouraged by Jeremiah! When the Lord gives you an assignment it is very important that you keep in constant communication with Him. Remain attentive and discerning as the unction of His Holy Spirit moves upon you. Whenever pressured to conform it is important to be transformed by the renewing of your mind by the Word of God. God in His time will bring everything to the light. God will never lead you to do anything that goes against his principles. Jeremiah’s life demonstrates how important it is to remain faithful to God. Sometimes we must forego the support of others rather than disobey God. Prayer is the key to help you stay focused if you are ever faced with such a situation. Did you know God can not be manipulated? There is a big difference between uniformity and unity! 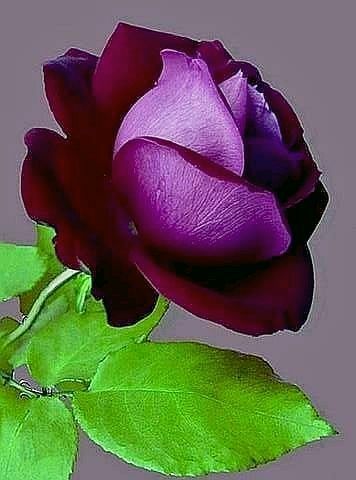 It is not necessary to manipulate situations or people to get your way. This is why it is important to pray and ask God if something is in His will for you. God allows many things. He did not create us to be robots. Proverbs tell us that there is a way that seems right to man? But the end will eventually lead to destruction. Did you know sometimes your way may be out of the will of God? You only hinder the ultimate plan that God has for your life. God wants us to be disciplined. Daily worship and prayer is crucial. This will strengthen your daily spiritual walk. It will also sharpen your ability to discern! The Scriptures clearly tells us that the prayers of the righteous are powerful! Life is full of snares for the believer. Wide road travelers are plentiful. Fewer desire to travel the narrow way. When we lift Holy hands to Him we acknowledge and invite His presence! We serve an all knowing and wise God! Denial will keep you in the dark. Honesty really is the best policy! God’s angels encamp around those who have committed themselves to His will and His way. This is why His Word is so marvelous! God will direct you through His Word! He will even warn you. God is faithful! He is the ultimate Father He will provide a way out of no way. Personal as well as corporate “Prayer Time” are essential to the body of Christ. We must learn to relinquish our will and strive to choose God’s way. Did you know that Jesus withstood great persecution and mistreatment? They even called Him a devil. The enemy is the father of lies. He always cloaks or distorts the truth! He always mixes Truth and error. That is when you know that something is not of God! But don’t be dismayed it will only last for a season. Oh! But remember “What a Friend we have in Jesus!” We are to carry everything to Him in prayer. Remember Jeremiah? Sometimes not responding at all is a good idea. Exercising your spiritual muscles will strengthen your walk. God never tempts us to do anything. As you take time daily for your personal worship you will begin to respond differently. Practice “praying without ceasing!” To be a disciple means you actually learn how to discipline yourself to respond in a way that pleases God. You embrace repentance in lieu of accepting denial. You must begin to exercise self control! You cannot please God and man! God’s way is always the best way. God’s weapons are not carnal. God tells us to “pray for them that despitefully use you!” You see it is really not about how things appear to others. What is important is what God knows! He knows the posture of our hearts. Remember He knows the TRUTH! He also knows when something is not true! He knows everything! The time we spend here on earth is relatively short in comparison to the time we spend in eternity with God! There is no need to be afraid. But you must be aware evil is about us. God can and will protect you from all evil. Remember the disciples sample prayer? God can and will deliver you from evil! You can genuinely smile or not respond improperly in the midst of trials and persecution. This does not mean that you are in a delusionary frame of mind. Quite the contrary. It just means your focus is on God rather than the situation. Your character will be strengthened and your Faith and Trust will be renewed. The majority of the work of God’s Church is “Beyond The Walls.” Yes, the work within the walls is important. Many work within the walls. Many live to please those within the walls rather than live to please God. I want to share something with you it is a lot easier to please God. God positions His children in different places. “The earth really is the Lord’s and the fullness thereof the world and them that dwell therein.” It is not necessary to jockey for a position when you know that God has a place in the body for you. We must continue to pray for those who are shackled by sin within and without the walls. Who really do not know that the gates of Hell will not prevail against God’s True Church. This scripture is not talking about the physical structure. There is not one iota of doubt in my mind that I am God’s child. If you really know Him you should feel the same way. It is an inexpressible comfort when you have a real personal encounter with the Lord. God is so great! Praise God for His Word. Did you know that there is only one true Church? If He came to your home would He be welcomed? If He came to your job or your place of business would you acknowledge Him? Honestly ask yourself if Jesus came to your church service would He really be welcomed? Perhaps, only if He were to tithe? Perhaps if he dressed how you think he should? Are you sure of what kind of heart you have? Perhaps if he would conform to your order of service? Only if He sits where you think He should sit? Would you betray Him like Judas? Remember when he threw the money changers out? Jesus said that His Church should be a house of prayer! Did you know that Jesus can provide and will provide for everything you need without manipulating others to give out of guilt? I believe He did say that “HE WOULD SUPPLY ALL OF OUR NEEDS….” Not some but all! God welcomes repentance! Repent means to change. To turn your mind, heart, body and soul in the direction God is leading. To abandon the prideful direction of having to do things your way and humbly move towards God. You must be willing to admit it when you are wrong. To embrace Truth pleases God! God really wants us to live victoriously. Remember He is omniscient, omnipotent and omnipresent. God is there for you. God has a plan for the lives of each of His children. So there is really no need to be jealous. Your position in the body is the capacity in which you function. Who you are is God’s child. By the way “He is not a respecter of persons”. God really does know and see what we do. It is much better to just want the things that God wants you to have, to desire to live out HIS WILL in your life! There is much peace when you really know you are walking in the path of RIGHTEOUSNESS! How will you know when God is leading you? This is why it is so important to pray and obey! This will help you not get sidetracked by what others say or do! Know that God has power over darkness. Again it is during your prayer time you can be refueled and prepared for the fiery darts. God let’s nothing come our way that He is not aware of. It is our responsibility to respond in a manner that pleases Him! This will give you a clear conscious. Remember God’s weapons are not carnal. If you don’t stand for God you will fall for anything! When you are adorned with God’s full spiritual armor the shield of faith with extinguish all the flaming arrows of the evil one! Just exercise patience and pray. God is the author and finisher of our faith. He has given each of His children a measure of faith. “Therefore, since we have been justified through faith, we have peace with God through our Lord Jesus Christ, through whom we have gained access by faith into this grace in which we now stand. Once we make the decision to accept Jesus Christ into our hearts we embark upon an incredible “New Life” in Christ! It is important to know that this is a “Walk of Faith” that is not always easy. In the eyes of God we are ageless children always in need of our Savior. Each day we can decide to choose to embrace God’s principles for life and living or the ways of the world. This is why it is imperative that we each develop an ongoing up close and personal intimate relationship with the Lord through Jesus Christ. The Word teaches us that confession is good for the soul. Therefore I want to confess to being judgmental. WOW! Now there I have said it! I have thought and pondered much about this. At this point in my life the fear of being misunderstood is not greater than my need to express this point. There truly is liberty in the Lord! I have determined that no matter how hard you try someone will misunderstand you anyway. So why not try to live to please God! I accept being judgmental. According to the Word of God we the saints are to judge. Say who! Having the Lord within our lives truly makes a difference. Does this mean that I think that I am always right? No of course not! It does mean that I do not have to make a judgment to determine what God has already said is wrong! We must study the Word of God so we can learn how to properly resolve conflict and disputes. God doesn not need us we all need Him and HIs Word! According to His Word we are taught that we must even learn to judge righteously. We should also be aware that the way in which we judge others is the way in which we too will be judged! I believe all of God’s Word! As members of God’s Church we all have a responsibility to abide by and uphold the principles of His Word. When we sincerely commit to “His Will & Way” our marriages, families and overall relationship dynamics will greatly improve. Christianity is meant to be a daily lifestyle where we who claim we are believers are supposed to be governed by the Word of God! Christianity is much more than just a religion! It is so much more than a social club. In general, for many, religion has turned into a manufactured system where rules are dictated, regulated and policies are made. Quite often there is an ever increasing list of do’s and dont’s to conform to, which sometimes go so far as to require a staunch or restrictive dress code. To the other extreme often a very lax dress is encouraged in order to make everyone “feel” comfortable and simply “come as you are!” Rather than present oneself in a somewhat tidy respectable manner. Often actually forsaking the Power of the Holy Spirit’s ability to transform the individual’s life from the inside out! Think about it for a moment how would you present your self if you knew that you were going to be in the company of the Queen? Certainly a balance is needed in this area. The Holy Spirit is the ultimate Spiritual Guide and Teacher! The Word of God teaches us that true worshipers worship the Father “In Spirit and in TRUTH!” John 4. Keep in mind that the LORD is the most HIGH GOD who desires to continually transform the lives of devoted believers and reach out to the world! Above Him is no other! Without the Lord one is disconnected and is but a wretched lost human being, living aimlessly in the flesh without promise of eternal life! Once we accept Jesus Christ as Lord and Savior we then have purpose and are adopted into the family of God! We embark upon a life of becoming enlightened, spiritual growth and being renewed as we apply His godly principles to our own lives. The Promise of Eternal Life waits as we grow spiritually realizing that we are forever “becoming…” As long as there is breath in the body there is Hope! NEVER underestimate the POWER of the LORD! “What is impossible with man is POSSIBLE WITH GOD! God intended for Christianity to be a daily lifestyle centered on Him! Christianity consists of the process by which we can learn the origins of man and draw closer to our Creator and Governor of the universe! We can discover more about the Father, the Son and the Holy Spirit and commence to live life to daily please the LORD! It is the “GOOD NEWS GOSPEL!” The central tenet in the Christian Faith is our belief in JESUS CHRIST and HIS WORD. He actually was God incarnate within sinless human flesh. The world was spoken into existence through Jesus! He actually became the WORD wrapped in flesh! “In the beginning was the WORD, and the WORD was with GOD, and the WORD was GOD. He was with GOD from the beginning. Through HIM ALL things were made; without HIM nothing was made that has been made. In HIM was life, and that life was the LIGHT of men…” John 1. Acceptance of Him as Lord and Savior is a definite requirement for all Christians. He reconciles us to the Most High God and gives us the gift of Salvation and the inheritance of Eternal life! Let’s take a momentary glance into the secular perception of religion from a widely respected source. Dr. Sigmund Freud, who is well known for his psychoanalytical theories, perspective on religion says:” Religious faith produces a repression of impulses and thus keeps the personality secure at the expense of honesty.” He is recognized as the father of “Psychoanalysis.” He also developed many of the concepts in *Psychology.” It is here the mind and behaviors are studied. “Psychology is the study of the mental processes and behavior. The term psychology comes from the Greek word psyche meaning “breath, spirit, soul” and the logia meaning “study of.” Psychology emerged from biology and philosophy and is closely linked to other disciplines including sociology, medicine, linguistics and anthropology. Freud believed that the actual drive-oriented nature is overlooked because the aspect of human nature has long been suppressed by religion. People in their insecurity begin to look for a cosmic father in order to compensate for their feelings of inferiority and insecurity. Freud also believed that religious activities are rituals of compulsive behavior that are employed to temporarily ease the intense guilt feelings that are fostered by religion. Likewise Christians neurotically try to free themselves of guilt feelings by performing religious rituals. Freud also maintains that the dependency fostered by religion causes infantile regression. Much to my dismay there is a minuscule element of truth in what Freud believed in regards to religion. I do not personally embrace his theories of psychology. But many do hide behind the guise of religion. There is a tendency to project a façade where things appear to be alright. They often go along with the majority and conform in order to feel connected to their particular group but remain insecure within themselves as an individual… There is often much ambivalence and unrest in their conscious relationship to God personally. They feel distant from Him trying to fill the inner void with some of everything! Whenever the soul is not really anchored; the philosophies in regards to the origins of man becomes a playground for answers. Whenever GOD is not the center of religion one can regress into this sea of uncertainty. Nothing is infallible and there is much doubt as to what has already been proven to be true! What was wrong becomes right and therefore one becomes polluted by the world. The world continues to migrate further and further away from God as Creator and the principles of His Word. Many religious folks modify His Word to adjust to the current desires of society. We can learn much from the Word of God. When His principles are abandoned there is a downward shift in the overall moral standards. The Bible does not contradict itself! The New Testament has fulfilled the prophecies of the Old Testament! There is no other book like the Bible! It is an extraordinarily remarkable library of infallible spiritual wisdom that is inculsive of 66 books! It cannot be fully grasped by the intellectual mind alone. One must solicit the Holy Spirit to intervene and illuminate the significant meanings of its plethora of Scriptures. It is also the all time best seller! In order to not be lead astray it is important to know for yourself what the Word of God says! We as Christians believe and accept the TRUTH of GOD’S WORD by FAITH! This is why we are called “Believers.” When Christians follow the ways of the world rather than embrace the Word they usually have not actually taken the time to build an up close personal intimate “one on one” relationship with the Lord. It is only with the Lord can one discover true “Security & Significance!” There is a tendency to encourage focusing on the outer rituals and traditions rather than to intrinsically search within to see where the true problem lies to resolve any inner conflict. The inner anxiety or unresolved issues can then become ongoing baggage that is carried throughout life producing anxiety when it is not addressed. God wants us to become whole! He wants us to take responsibility for our actions and take a stand for our rights. He wants to write His laws upon our hearts! Inner Peace can be experienced when one readily repents (turns from) any wrong behavior and moves forward… God does not want us bogged down in guilt nor shackled to any uncivilized or inappropriate behavior. He wants us to be FREE! There are very good reasons why He has said DO NOT do some things! The world says do as you please! God wants us to become disciplined! A disciple is a learner! God wants to deliver us from whatever hinders us from growing spiritually and becoming all that He created us to be He wants us to; “Take My yoke upon you and learn of me. For I am gentle and humble of heart and you will find rest for your soul…” Matthew 11. This is why He has given us JESUS CHRIST to “SAVE” us from the power of sin reigning within our daily lives! GOD IS MORE THAN ABLE! Jesus died to take upon Himself the sins of the world and make it possible for us to become directly reconnected back to GOD! Sin had widened the abyss between God and man. The Father, The Son and The Holy Spirit are One! Jesus His only begotten Son humbled Himself to come to earth. He was completely Divine! Shaped in the image of GOD in the form of a man covered in sinless flesh, He overcame sin for us because He loved us so! Jesus bridged the gap between God and man and became the only “PERFECT” flawless example! He arose with ALL power and took away the sting of death and sin. His Holy Spirit is our Comforter! We can now go straight to GOD wherever we are at anytime. He knows everything past, present and future about everyone and everything! This is why we all need Jesus Christ as Savior and LORD! He can and will make a significant difference in our life! God wants and up close and personal relationship with each one of us! We were created for HIS GLORY! Now that’s LOVE! Prayer is communication with GOD and we need to regularly spend quality time with Him! His Word tells us in I Thessalonians 5; “Pray without ceasing, give Thanks in ALL circumstances, for this is God’s Will for you in Christ Jesus.” This is a continual mode of interacting with the Lord! We are able to consistently become aware of HIS PRESENCE! There is nowhere we can go that God is not… As the people of GOD, there must be a growing daily focus on our personal relationship with the LORD that becomes more an more natural. We are able to grow spiritually each day. God’s Church is collectively all over the world made up of a diverse multiplicity of people of all races, colors and creeds that believe His Word! Whenever are wherever we come together and assemble as His Church we will be much more effective when we have spent time with Him throughout the week! We are to apply His principles to our own lives and allow Him to guide us as He works out the kinks in our lives. Life is about becoming “perfected” which means to become completed in Him! We can invite Him into the “Messiness” of our lives! We can also worship Him more freely as we draw near to Him! Worship becomes a part of our daily lifestyle. I truly believe that it is the intentions of many to have God’s will done in their life. The desire to please man and to be accepted often supersedes the spiritual responsibility to be led by the Spirit. This is where the conflict lies… There is much spiritual warfare to entice believers away from GOD and to keep non believers from embracing God personally and intimately! We learn in Genesis that God created us in His own image. (I don’t mean looking like Him) In essence we are spiritual and relational beings. We have been created for God’s purpose. Until we arrive at the point that helps us realize just that, we can often unconsciously create more adversity and anxiety in our lives trying to adapt and please man. This in turn can and will at times create a mental deficiency because the deep void remains. This void can be filled by many things. But they never really will quite satisfy. God has a place within us that only He can fill. Ideally speaking; did you know that if we were all following the Lord we truly would be on one accord. There would also be a lot less schisms and division within the Body of Christ! Religion ritualistically practiced often focuses on the exterior. Encouraging others to worship in a way they deem appropriate by their denomination or non denomination at a certain time rather than ascertain a truly intimate relationship with the Lord. What do you mean? A few examples! If you are too quiet you can be perceived as standoffish and unemotional! If you don’t speak in tongues you don’t have the Holy Spirit! If you wear makeup you are being carnal… If you don’t pay tithes… If you do not wear long dresses or cover your head… If you don’t come to the service every Sunday… If you shout and pray loud you are… If you are quite emotional it can be perceived as being more spiritual… If you are… The point is worship is personal and the object of our worship should be the LORD. The wonderful thing about God is HE KNOWS ALL of our hearts! God wants you to be the best You! Conforming to be accepted can leave one with an ever greater void. The Word tells us the proper way to worship God is to be led by His Holy Spirit! Remember! “GOD is a SPIRIT and HIS worshipers must worship HIM in SPIRIT and in TRUTH!” John 4. How do we get to know GOD? The spiritual journey leads us to the realization of our Creator! God the Father the Great “I AM.” The God of Abraham, Isaac and Jacob! This is what we as adherent believers believe! (I realize that not everyone believes the same.) As we begin to relate to the Lord properly He will free us more and more from the things that misrepresent Him. As we grow spiritually our spiritual eyes are opened and we become more conscious of why we do what we do! Our conscience becomes much more sensitive to the things that are contrary to His Will and His Way! Our desire should be to live to please Him as we grow spiritually. Growing in the Grace and Knowledge of our Lord & Savior Jesus Christ is an ongoing continuing life process! The Canonical Gospels which we know as the WORD contains a wealth of wisdom regarding the history and origins of mankind! This is why it is so important to spend time in HIS WORD! Here we are able to ascertain the invaluable, priceless and precious TRUTH! Through a plethora of life lessons we grow! We all have areas in which we are lacking! It is within our deficiencies we can discover a need for something greater than ourselves for survival. How do we cope with life, living and the anxieties that come along with it! As we become aware the discovery of a supernatural existence greater than ourselves and the ongoing need for spiritual growth and balance becomes apparent! It is a continual learning process. God sent us His only begotten Son; JESUS CHRIST to redeem us from the curse of sin! Sin separates us from GOD! Jesus came as an innocent babe wrapped in sinless flesh. He overcame sin in the flesh. He went through all the stages of life, yet He never sinned! He was crucified, died and was buried and then He arose with ALL POWER! He came to point us back into the right direction that once again unites us to our Creator. The Narrow Path is the Way that leads to Him! Jesus is the Door back to the Father! Jesus is the only perfect example! Living for the Lord is meant to be a way of living daily! No one knows when but the LORD is going to return for HIS CHURCH! GOD NEVER INTENDED FOR RELIGION TO BE A CRUTCH! Why is there so much confusion about religion! What is religion? Religion consists of cultural views, beliefs and various systems worldwide. Religion in itself is not bad but for many it means different things. It takes on many forms depending on the particular culture! Christianity, Islam Buddhism and Hinduism are considered the four major religions. There are thousands of religions throughout the world. Within those religions are varied and diverse practices and an assortment of rituals. What, whom, why and how we choose to worship is where the problem lies. What we believe varies… We must become aware of the mixture of misconceptions in order to know what true godly religion really is according to the Word of God. Christianity goes beyond just being a religion. It is also the main focus within the context of this narrative! 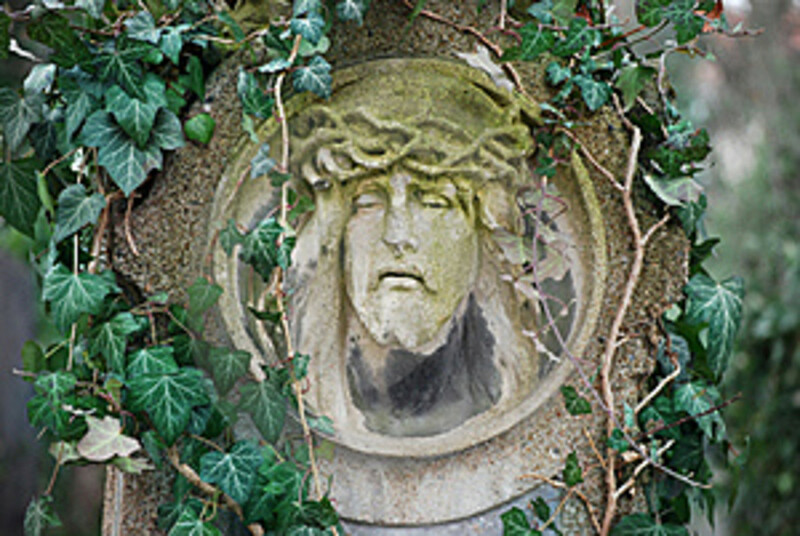 Religion is an essential important fundamental aspect of Christianity. Let’s take a look at The WORD of GOD’S definition for religion! “If any one considers him religious and yet does not keep a tight rein on his tongue, he deceives himself and his religion is worthless. Religion that GOD our FATHER accepts as PURE and FAULTLESS is this; to look after orphans and widows in their distress and to KEEP oneself from being polluted by the world.” James 1. These verses are quite self explanatory. Christianity is a way of living, it is meant to be a daily lifestyle! Being a Christian simply means to follow Jesus Christ and His teachings! Jesus is the promised Messiah! We who are called believers, through FAITH believe the Bible to be the intrinsic infallible Word of God! Christianity is monotheistic! We believe in one GOD! The Father, The Son and The Holy Spirit are ONE! We are supposed to actually apply the principles of God’s Word to our daily lives! It is the barometer by which we determine right and wrong! Yes! It was divinely inspired by dedicated followers of God! As mentioned earlier the aspects of pure religion are explained in the Book of James! For many religion is about conforming to the beliefs of the masses without really personally taking the time to know what is actually in the Bible. Sometimes often embracing the traditions, doctrines and beliefs of a denomination over the Word of God! GOD’S WORD IS ALIVE! It can sometimes be so simple we miss the intended message. The closer you or I draw to GOD the more we can increasingly understand the simplicity and powerfulness of HIS WORD! His Holy Spirit further opens our spiritual eyes and illuminates His Word so we can better comprehend the intended message. His Holy Spirit is the eternal inner Teacher and spiritual interpreter that reside within us as believers! To lead us to ALL TRUTH! Listen closely to what Jesus said! “I have much more to say to you, more than you can hear now bear. But when He the Spirit of TRUTH, comes He will guide you to ALL TRUTH. He will not speak on His own; He will speak only what he hears, and He will tell you what is yet to come. He will bring glory to Me by taking from what is mine and making it made known to you. ALL that belongs to the Father is mine. That is why I said the SPIRIT will take from what is mine and make it known to you.” John 16. During Jesus’ last days on earth He talked quite candidly with His disciples. He warned them that they would be misunderstood, mistreated and persecuted. He also told them they would not be accepted by the world. But most importantly He assured them that they would not be alone! He has given us His Comforter, His Holy Spirit to be with us always! This is why it is so important to know HIS WORD! We can call on the LORD anytime and anywhere! Think about this for a moment; when JESUS left the earth and ascended to Heaven there was not an actual physical Christian Church as far as a building! The disciples and His followers met in homes, they knew then as we should know now that they themselves were the CHURCH! GOD’S CHURCH is universal! Where the Spirit of the Lord is there is liberty. We in America have a freedom that you just don’t find in the rest of the world. We have freedom of speech, freedom to vote, freedom to live and go where and when we please. But most importantly we have the freedom to worship. There are many types of worship services but there is only one true God. The only way to worship Him is in spirit and truth. On a recent trip to Athens Greece and Istanbul Turkey I was able to see some of the world’s most exquisite architecture. Turkey is a country that is 95% Moslem. In Turkey there is the renowned Haggia Sophia Cathedral. It was built for the Christian community to reflect the beauty that Solomon’s Temple once beheld. In spite of its elaborate intricate handiwork full of gold mosaic tiles, marble and brick walls, it is now a museum. It also contains various artifacts derived from Greek mythology and its continence is a shadow of it’s once intended purpose. Ironically across from it is the beautiful Sultanahmet mosque. Its known as the Blue mosque due to an extravagant array of blue mosaic tiles. Adorned with its intricate splendor and statueous marble columns and stained glass windows. It is scrupulously maintained and it is a place of worship for the Moslem community. Turkey is full of ornately designed mosques and Mohammed is whom they worship. Words cannot express my gratitude to God for the things my eyes have beheld. The scriptures continuously came to my mind as I walked through the Haggia Sophia. “God does not dwell in a temple made by hands”. “That God is coming back for a church without spot or wrinkle.” There is absolutely no doubt in my mind to the unmerited grace the Lord has bestowed upon us. The one thing the tour guide who was of Moslem decent (in Turkey along with our guide we were required to have a Turkish guide as well) said that stuck with me was “why would a powerful God allow His Temple to turn into a museum?” My point is God is so gracious and kind that He allows us so much freedom. He even gives us the freedom to choose who or what we want to worship. When I lift up Holy Hands, to Him and Him only my heart is eternally grateful. It is by His grace and His grace alone are we saved. God is truly worthy of all the PRAISE! In Turkey is the city of Ephesus. There are miles and miles of ruins. Original artifacts, columns etc. and remains to testify to the fact Ephesus existed. To this day approximately only 10% of it has been uncovered. It is still currently under excavation. Primitive hand tools are used in order to preserve whatever archeological finds are uncovered. Paul wrote the book of Ephesians to the church at Ephesus. Just look at God! Despite the fact Turkey is a Moslem country Ephesus remains a monument to Christians of God’s eternal presence, grace and mercy. My most invigorating moments were spent in Athens Greece. We walked up the steep incline to the Acropolis saturated with aged columns made of marble. The Parthenon and majestic ruins were filled with slippery marble laden paths. The highlight of our trip was when I observed my husband climb “Mars Hill”. In a foreign country one must be cautious. After my husband determined that it was safe I too climbed the hill and we both joyously praised GOD! This is the infamous Mars Hill that the Apostle Paul speaks about in the book of Acts give you a marvelous panoramic view. When we first approached Mars Hill there was a woman preaching. I found this to be quite interesting because years before when I was called to ministry a woman being a minister was not readily accepted. This was confirmation just how good GOD truly is. I was sure of the call on my life to minister but I was also very sure that I did not have to be restricted to the doctrines of a denomination but to the “Word of God!” Acts tells us “And it will come to pass in the last days saith God I will pour out of my Spirit upon all flesh and your sons and your daughters shall prophesy.” Paul spoke concerning an altar with an inscription representing the unknown god on Mars Hill. That unknown God is the God I love, worship and adore. The only true and living God. The GREAT “I AM!” Mars Hill today is in a magnificent open place. High above Athens for all to see. (I will forever cherish what it felt like sitting there and praising God for all He has done!) It’s walls and canopy are the blue firmament that God Himself spoke into existence through the Word. That Word is Jesus Christ wrapped in flesh. Who sacrificed His life for the sins of the entire world! The gates of hell will not prevail against the Church of God. Glory! Glory! His truth is marching on! “The earth truly is the Lord’s and the fullness thereof the world and them that dwell therein.” There is not a place that can be built that can contain the fullness of His majestic awesomeness. The early church had no building they met in homes. We have dedicated our home to be a place where God’s way prevails. The heart of each of His Children is where His true Church abides. There is nothing wrong with a church made by hands. But the focal point should not be a hierarchy laden with cliques, clichés, how do we pay our bills programs and solemn auxiliaries; a mere shadow of what God originally intended. “Where the Spirit of the Lord is there is liberty.” We should praise Him in song, word and deeds. We are not saved by works. But our works display our faith. Our main focus should be to cultivate and environment where God receives the preeminence. It is God’s Word and His power that will draw men and change their lives when we spread His Gospel. Whether it be via T.V., radio, internet, song or the spoken word. TO GOD BE THE GLORY!! !